The whole weekend was fun. I love my husband’s friends. I love their wives, too. Its a good situation all around. Imagine the fun we, the 5 wives, can poke at our 5 husbands. Imagine the fun we can poke at 4 engineers and 1 token educator. I think at times we, the ladies, were kind of mean. But very funny at the same time. We all had independent conversations about our husband’s 80’s style “engineering” eyewear. No, not safety goggles for a chemistry lab, “engineering” eyewear. You know, “engineering” eyeglasses. 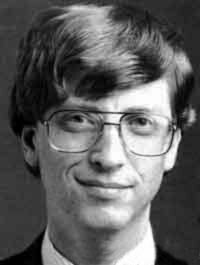 The kind Bill Gates wore in the early years. Yeah, those. I guess almost all of our men wore them. Probably wore them for too long, too. You know, into the new millenium. God love our engineers. God bless every one. The Mrs. told me that Indiana Jones called. He wanted his glasses back. I think she could empathize. Never guess what my degree is in . . .